The term Indo-European is a scam. It is actually Turkic-Aryan because Indians didn’t invade or colonized anybody; the Turkic Mongolian did too much. 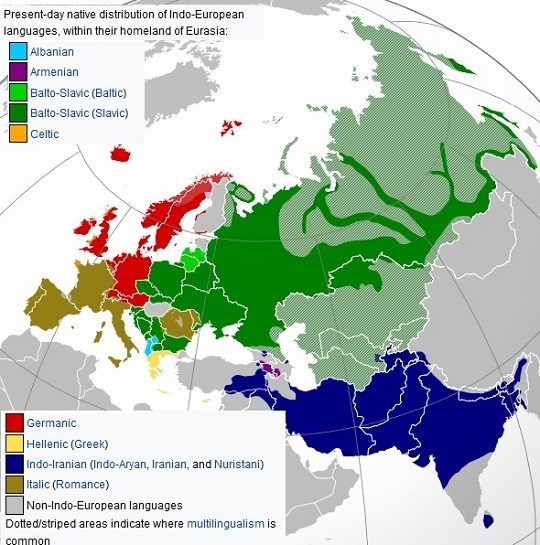 Europeans had nothing directly from Indians, it was Turkic invasions and Aryan (=Iranian) slavery which changed Europe; and no European is Aryan. Too many other terms and concepts are fake, racist, and pseudoscience. There is nothing called White Race to describe Europeans mixed stealthily with Asian invaders. The correct term is European and not White. Also, there is nothing in reality called “Afro-Asiatic” languages, which was invented just to cover up heavy borrowing of words and scripts by Arabic and Hebrew from the more advanced Africa. Other issue of great importance, but intentionally ignored, is the lack of historicity of the present Hebrew Bible (Old Testament); which must be totally different from the original Torah. The Torah was definitely given in Ge’ez language, and not in Hebrew, as it did not exist in 1406 BC. Please clean all scientific, political, and religious communities from such wide-spread ignorance, irrationality, and dishonesty.